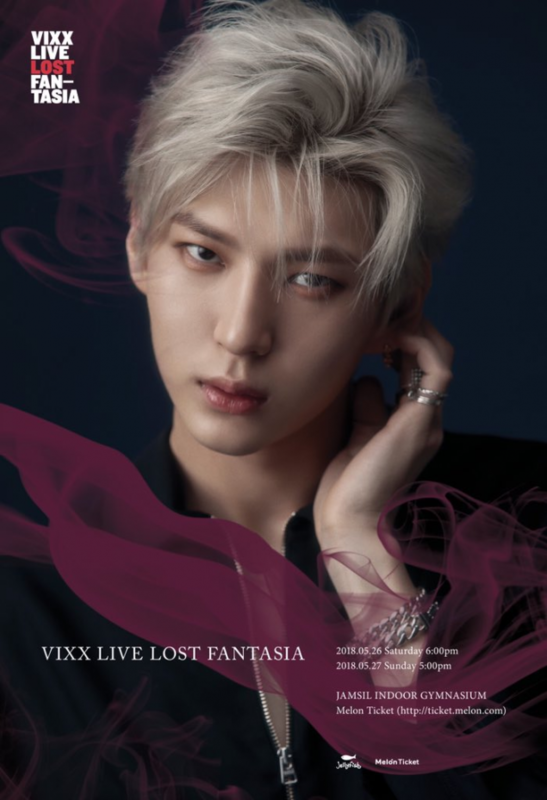 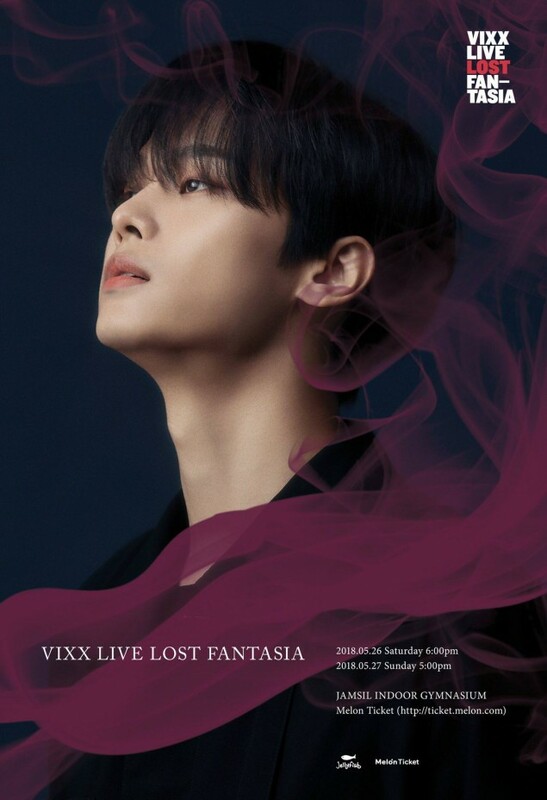 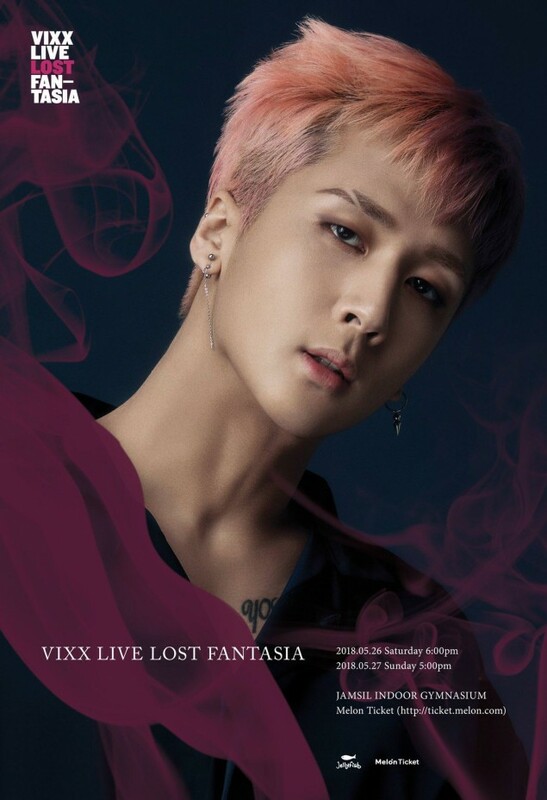 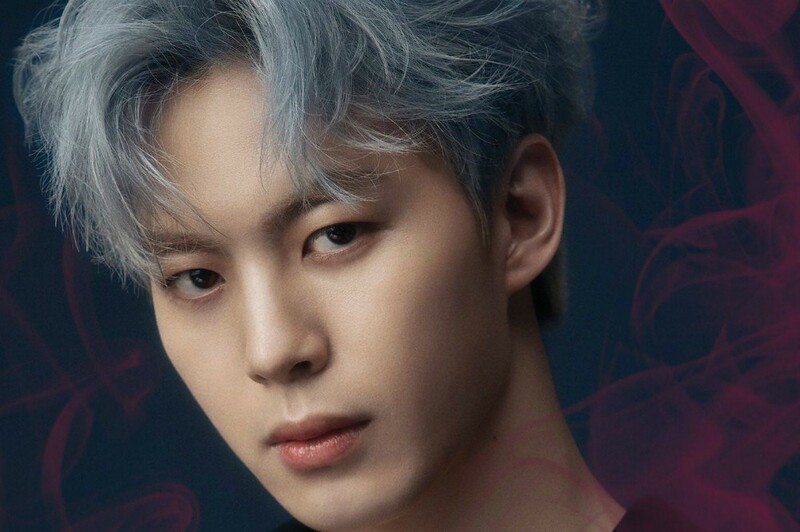 VIXX unveiled individual concert posters for their upcoming solo concert, ''VIXX LIVE - LOST FANTASIA'. 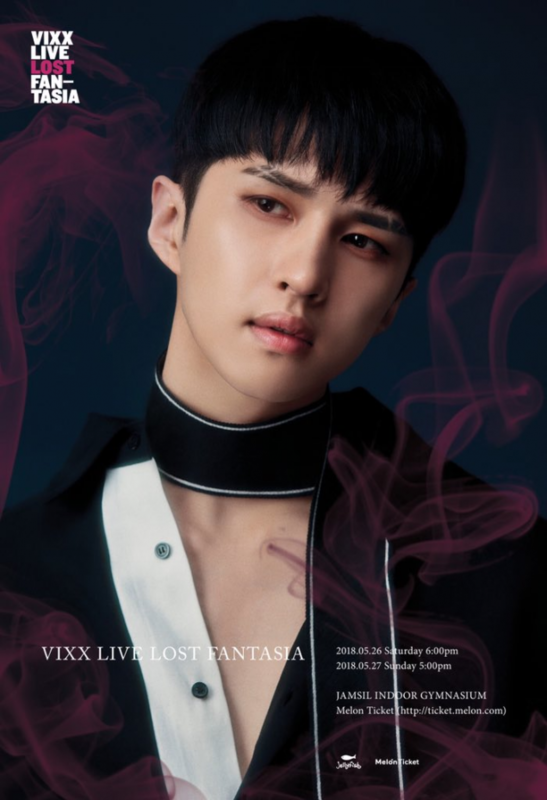 The members show off their sharp jawlines, accompanied by mysterious, burgundy smoke. 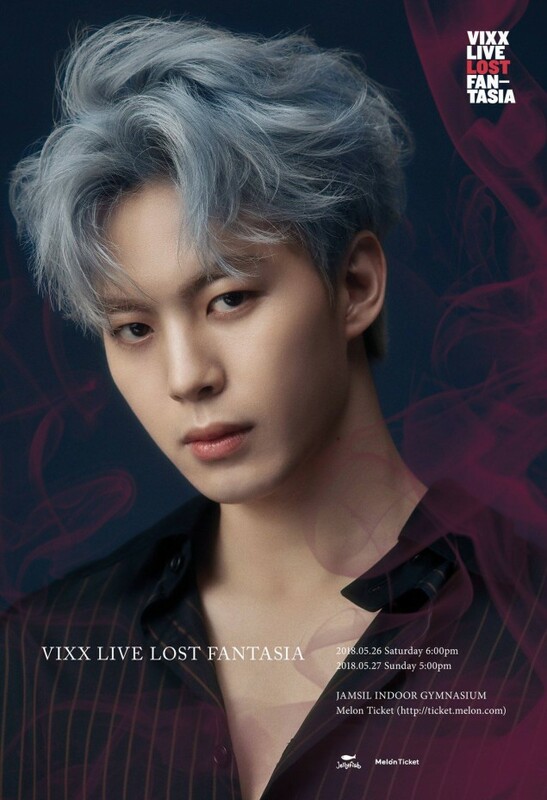 VIXX's domestic solo concert is set to launch from May 26-27 at the Jamsil Indoor Gymnasium. 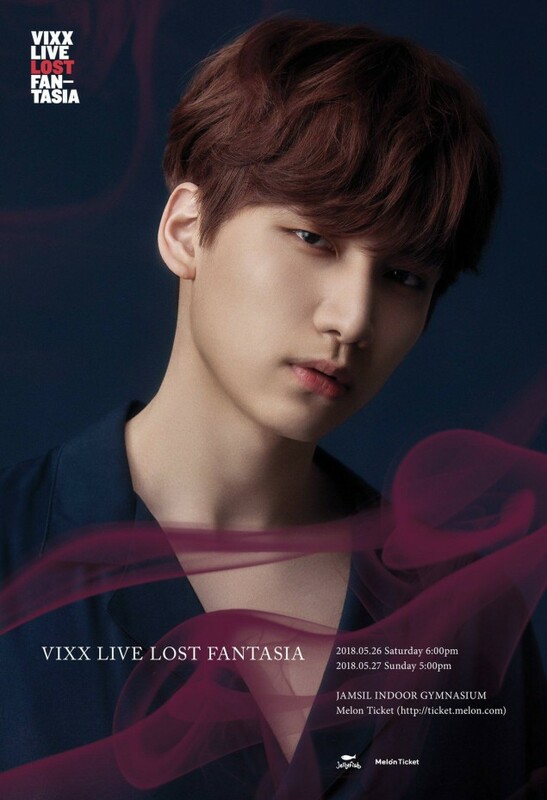 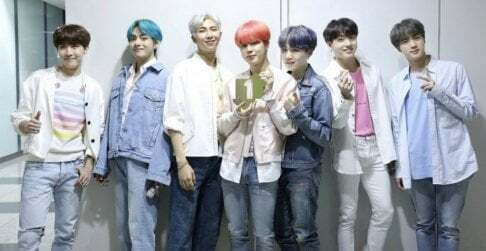 Check out their posters below!